PEX-C is produced through electron beam processing, in a “cold” cross-linking process (below the crystal melting point). It provides less uniform, lower-degree cross-linking than the Engel method, especially at tube diameters over one inch (2.5 cm). When the process is not controlled properly, the outer layer of the tube may become brittle. However, it is the cleanest, most environmentally friendly method of the three, since it does not involve other chemicals and uses only high-energy electrons to split the carbon-hydrogen bonds and facilitate cross-linking. 1. The raw material for our PEXa pipe is LG XL1800 from South Korea or can be at your request. 2. The raw material for our PEXb pipe is LG XL6500 from South Korea or can be at your request. 3. The raw material for our PE-RT pipe can be LG SP980 from South Korea, SK DX800 from South Korea or just Chinese Normal material. 4. 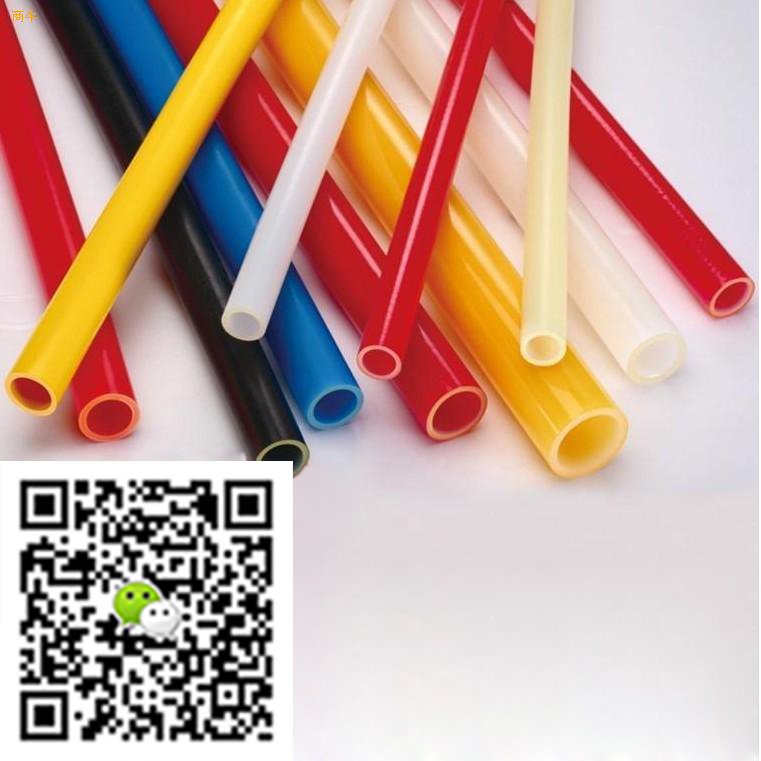 The raw material for our PB pipe is Lyondell Basell 4235 from Netherland or can be at your request.